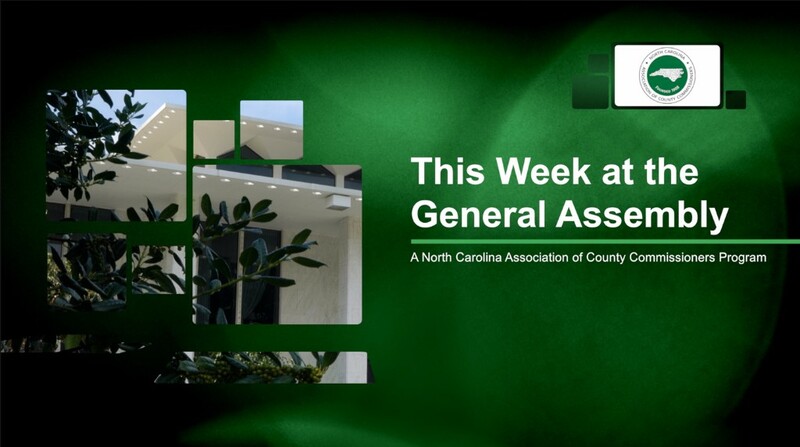 The General Assembly was in session till late in the day last Friday so below is an update on actions taken, along with the status of legislation still in play. As this week may be the final week of the 2017-2018 legislative biennium, legislators are mostly considering local bills and constitutional amendments; however, there is still legislation that could move that affects counties. Any changes to the state’s constitution should be carefully evaluated for potential long-term impacts to counties. One amendment under discussion in Senate Bill 75 would lower the cap on the state income tax from 10 percent to 5.5 percent. Other possible constitutional amendments include requiring identification to vote, adding to victims’ rights, adjusting the eminent domain provision, and ensuring the right to hunt and fish. The NCACC will publish its regular Legislative Brief this Friday and a final session report after sine die. Special Separation for Firefighters and Rescue Workers – Please contact your legislators with your concerns. Legislation allowing for a special separation for firefighters and rescue squad workers could cost local governments nearly $300 million. This analysis is from a legislative actuarial note attached to House Bill 340 which is now section 2 of Senate Bill 153. The bill contains other provisions also of concern to counties. The expanded commercial cemetery property tax exemption carries a $1 million impact to local governments according to the legislative fiscal analysis. Furthermore, the bill includes a property tax exclusion for the unmarried spouses of fallen first responders that carries up to a $700,000 impact to local governments across the state. The bill is likely to be heard on the House floor this week and the NCACC asks our members to contact their legislators with their concerns on this legislation. As reported in last week’s brief, House Bill 507 remains in the Senate Rules committee. The bill would nearly eliminate the county’s ability to ensure land development projects meet certain performance standards for infrastructure like roads, water, and sewer. The NCACC remains concerned the legislation could incentivize land use litigation and circumvent a county’s ability to make land use decisions. The NCACC continues to ask county leaders to contact their legislators regarding their concerns about this legislation. Senate Bill 325 passed late last week and would change time periods for early voting. After consulting with some county elections staff, the NCACC has concerns about this legislation from a county administration perspective. The NCACC is concerned that the bill limits county flexibility and would force counties to incur significant additional cost to maintain the same number of sites they have in previous election years. This would be particularly challenging to implement as many counties have already adopted their fiscal year 2018-19 budgets. Please contact your legislators about the impact this may have in your county.